Members of the Cumberland Community Association (CCA) are asking the province to take a closer look at future plans to widen highway 174 through Cumberland. Members of the CCA’s 174 working group filed an appeal to the provincial minister of the environment and climate change about the highway widening, which would see the two lane road through Cumberland expanded to four lanes. They have asked the minister to require a higher level of assessment for the project, called an individual environmental assessment or a part two order. A study looked at widening highway 174 and Prescott-Russell County Road 17, and proposed three alternatives to get vehicles from east of Ottawa into the city. The study identified the widening of highway 174 through Cumberland as the preferred choice. 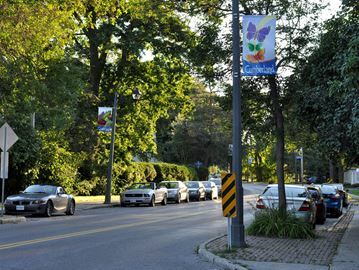 A 2015 meeting about the highway widening got heated, with many residents speaking out about concerns for the overall character of the village, and also their own driveways and access where a median down the road and traffic lights would be installed. Swan said it makes sense to widen the road between the split and Trim Road. Rather, it’s largely the part of the plans east of Trim Road that CCA members are concerned about. The appeal to the minister outlines what CCA members feel are technical shortcomings to the study that was done and their opposition of the highway widening as the best solution for eastern Ottawa. It asks for the criteria weighting that was used to be re-evaluated, the scope of the EA to be expanded to include a “big picture” transportation plan and an alternative solution to road widening. In the city’s transportation master plan, the highway expansion isn’t scheduled until after 2031. The CCA members submitted their appeal before a July 4 deadline to the minister. Brier Dodge is a reporter-photographer with the Orléans News and Ottawa Metroland Media publications. She can be reached at brier.dodge@metroland.com. Follow her on Twitter and Facebook.